“With Republicans struggling to keep their grip on Congress, President Trump is dialing up the demagogy,” said The New York Times. Trump’s policy agenda—including the “much-ballyhooed” tax cut—hasn’t excited voters, so he’s trying to scare his right-wing base to the polls with dark visions of migrant hordes and terrorists pouring over the border. His barrage of lies isn’t limited to immigration. Trump also promised to pass another “very major tax cut”—this one for the middle class instead of the rich—before the election, even though that would be impossible because Congress won’t be in session. Trump is desperate, and it shows. Voters may disagree, said The Washington Times. 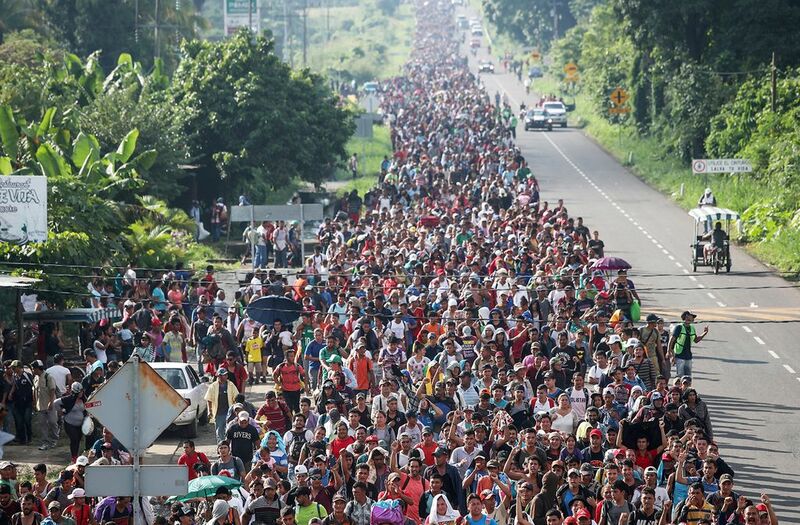 President Trump is giving voice to “what many Americans are thinking as they watch news accounts of the advancing throng.” They see the caravan as proof that the U.S. has lost control of its borders. The number of illegal immigrants crossing the border with children has jumped in the months since the White House was forced to end its zero-tolerance policy of separating families at the border. The U.S. Border Patrol arrested 16,658 such people in September, an 80 percent increase from July. President Trump won the White House by promising to let Americans decide who enters their country. Now, the same promise could help him beat back the “blue wave” Democrats are counting on.